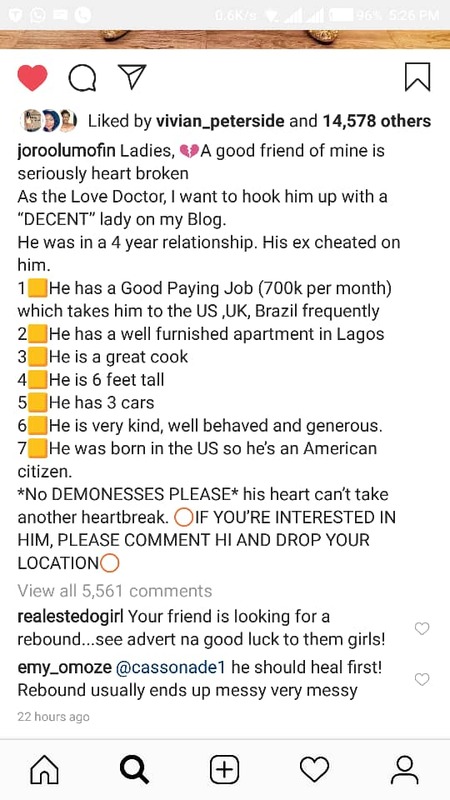 Ladies on social media have been falling head over heels for a young man they are yet to see possibly because of his financial achievements. 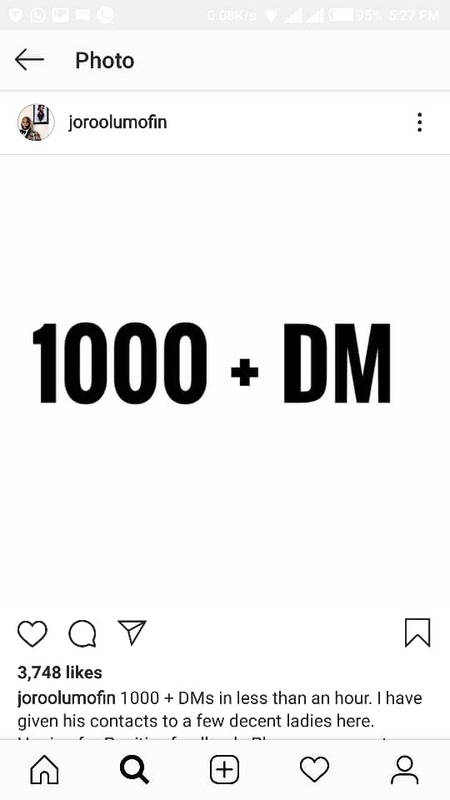 Relationship adviser, Joro Olumofin caused a storm on his social media page when he announced his plan to seek a partner from his friend who is doing well financially. According to him, his friend recently parted ways with his girlfriend for cheating on him. The man in question earns almost a million naira per month and travels abroad frequently. He is very kind, well behaved and generous. 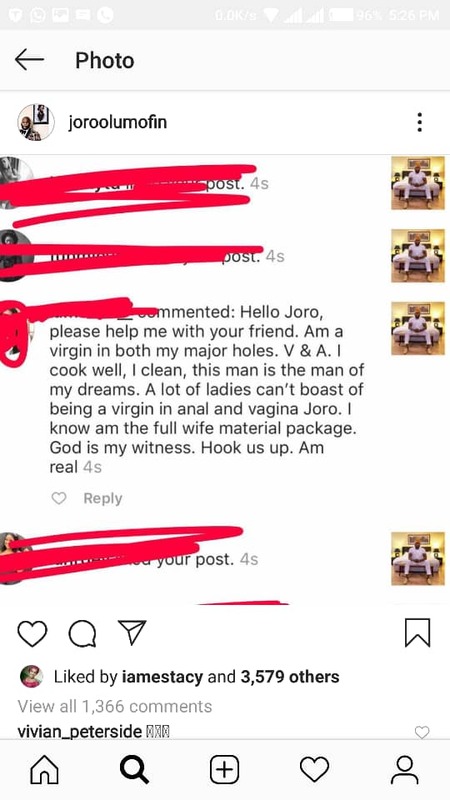 Joro claims to have gotten over 1000 private messages from ladies who want to date a man they are yet to see. 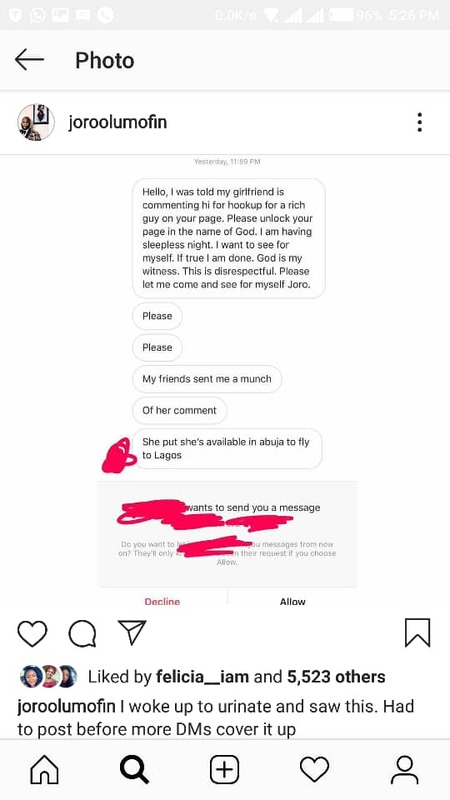 Several other ladies made desperate appeals on his page to get the young man's contact.